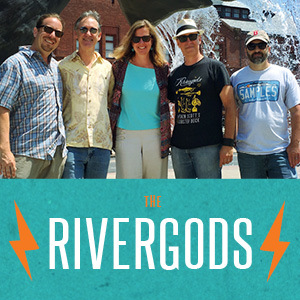 The Rivergods at Daddy Jack’s! Were back in action and excited to make our debut at Daddy Jack’s, a wonderful downtown New London restaurant that’s starting to make it’s mark featuring great live music along with its scrumptious food and incredible atmosphere. This show will mark the debut of our talented new bass player, Mark Gehret, and is also a bit of a birthday celebration for Ben! There’s no cover, either, and did we mention the food?!? Good times will be had… Come to eat, drink and enjoy the show! More info here.